This photograph was taken last weekend in wild bluebell woods in Wiltshire. It was one of those magical and memorable evenings. Memorable because of the atmosphere and the light. There were frequent bursts of the sort of bright piercing sunlight that appears like a surprise from behind the clouds and delights you each time, lighting everything up with an intensity which shows up each and every colour and shade. Between the bursts of sunlight light almost dreamy white clouds floated across the sky in a calm manner. And occasional deeply dark clouds created a dramatic edge to the atmosphere. The woodlands were quiet and the bluebells lay thickly around the trees and up the hill. The flowers weren’t quite fully out but still looked magnificent. I have been walking in bluebell woods since a child and I am always amazed by the experience every year. It was pleasing to see that the bluebells were native wild ones. It’s easy to tell the difference between these and the rampant spanish hybrid which isn’t good news for our woodlands. 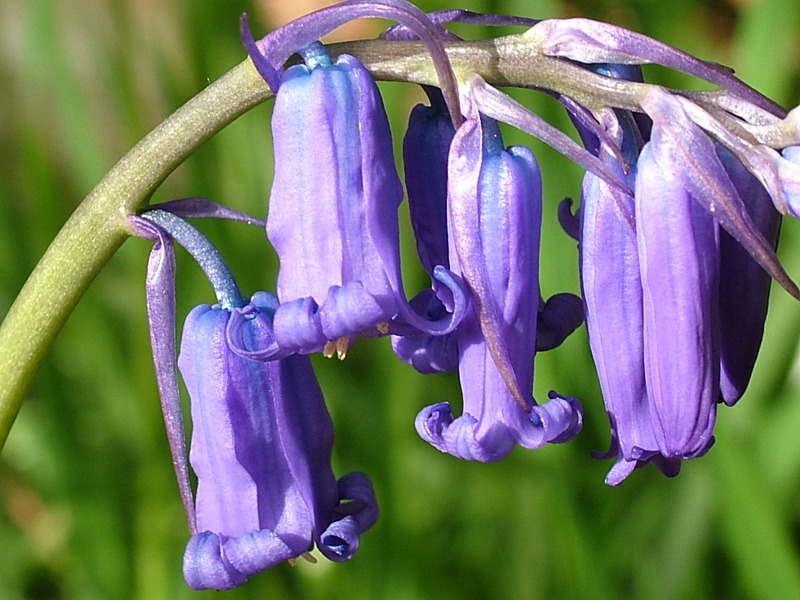 The native wild bluebell displays the familiar bowing stem with the flowers all sitting on the same side of the stem. The native wild bluebells also have the wonderful deep and varying shades of indigo which is missing in the hybrid. Bluebells are notoriously difficult to capture in a photograph without using a colour lens (which I never use). But it’s always fun to try. After an hour I gathered the children and we headed home smiling and happy. The whole experience had been one of the simplest of pleasures, but one of the nicest I had enjoyed all week. 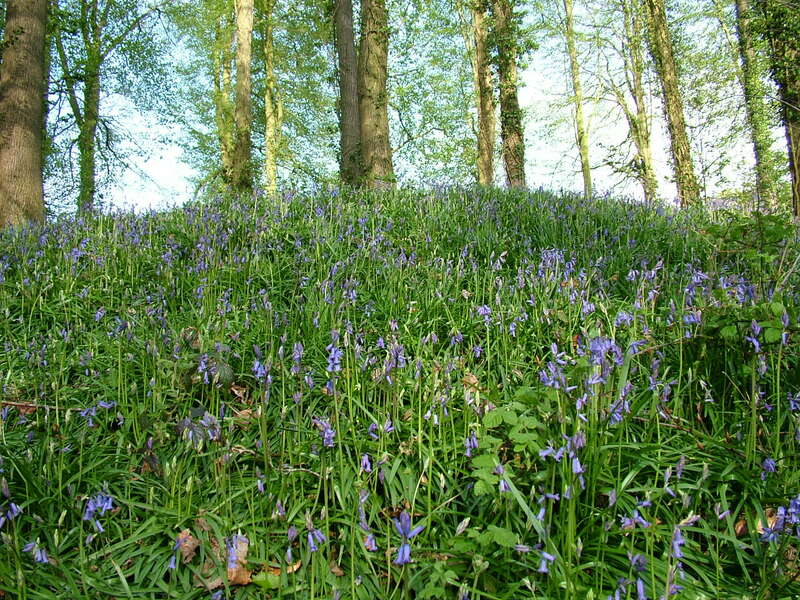 The bluebells are later flowering this year than usual and certainly in South Wiltshire look set to peak probably this coming weekend or next week and to continue flowering into early June. So there’s still time to go have some fun with a camera and walk for yourself.